The one thing that stands out over the winter months was the large amount of water that ended up in the canal. 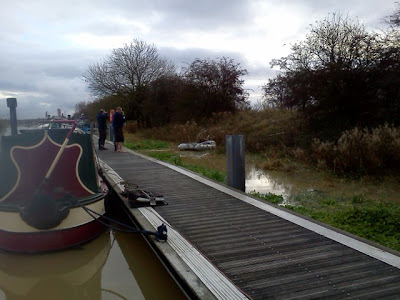 At one stage there was no way to get off the floating pontoon apart from a dingy we borrowed from further down the canal. The piles holding the pontoon in place was usually about eight feet up in the air. 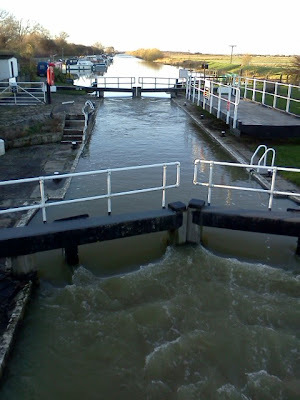 At its height the water rose by over six feet and the towpath was flooded and the cruisers on the finger moorings were floating over the mooring itself. 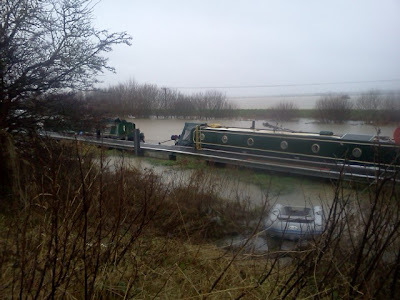 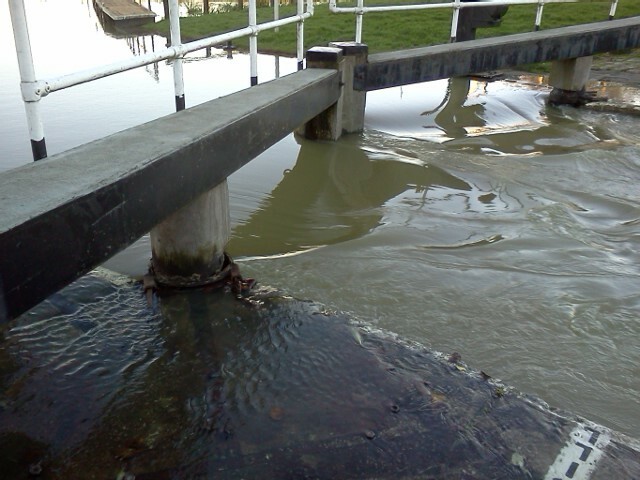 The water rushed straight through the lock and the river was only a few inches lower. At some points on the Water Rail Way the canal was running over the path into the drain on the other side. 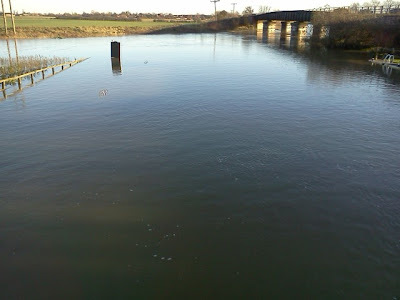 If the river had risen another foot it would have gone out into the countryside in general. 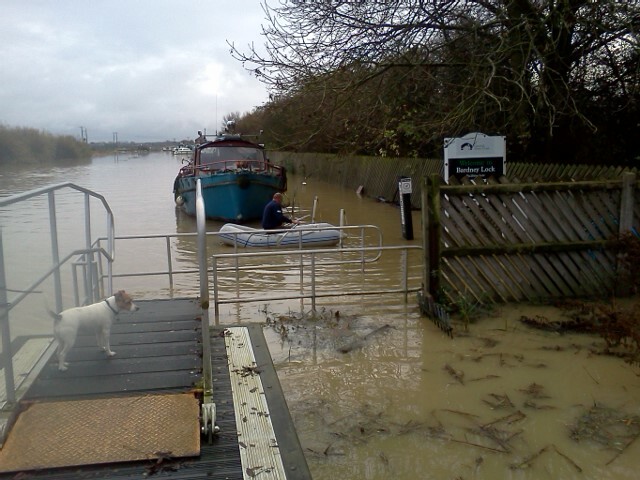 The dog was not amused in the slightest by the fact that she could only get to the grassy bits by boat. Luckily we didn't run out of water as I would not have liked to try and manoeuvrewith that lot rushing past. 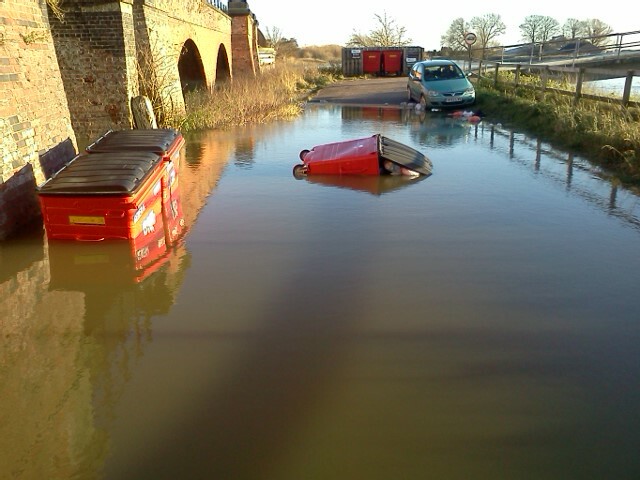 Couldnt get to the boat by road either with the bridge flooded and the bins floating. Had we known you were at Bardney we would have come and paid a visit! !